Get behind the wheel of a sports car or exotic car and drive select road courses across the country! 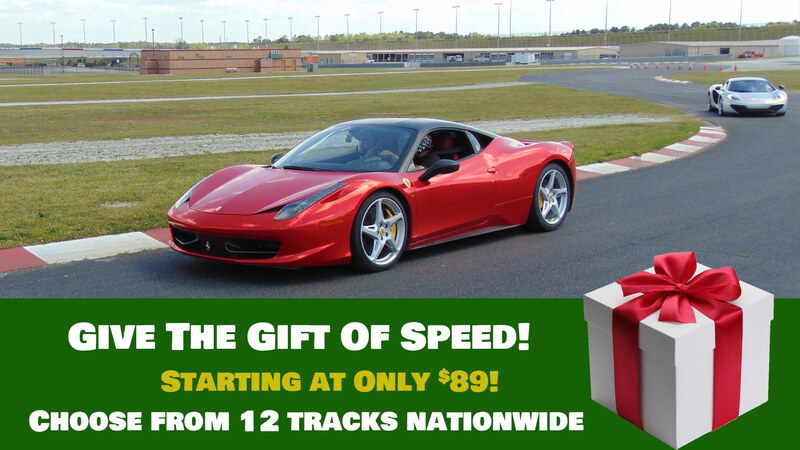 Right now SAVE 70% OFF Track Tour Ride Alongs and 3 Lap Driving Experiences at all locations when you book. Book online below or call 401-543-FAST to book by phone. The Track Tour is where you will ride along in the pace car driven by one of our pro drivers. On Track driving experience in a Porsche Boxster or Chevy Camaro SS.